How many lives fit in a lifetime? When Hero De Vera arrives in America--haunted by the political upheaval in the Philippines and disowned by her parents--she's already on her third. Her uncle gives her a fresh start in the Bay Area, and he doesn't ask about her past. His younger wife knows enough about the might and secrecy of the De Vera family to keep her head down. But their daughter--the first American-born daughter in the family--can't resist asking Hero about her damaged hands. 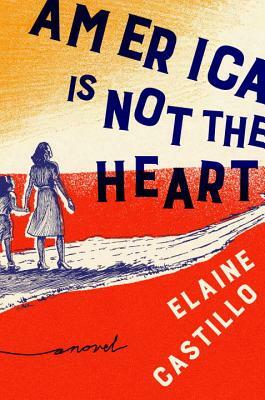 An increasingly relevant story told with startling lucidity, humor, and an uncanny ear for the intimacies and shorthand of family ritual, America Is Not the Heart is a sprawling, soulful debut about three generations of women in one family struggling to balance the promise of the American dream and the unshakeable grip of history. With exuberance, grit, and sly tenderness, here is a family saga; an origin story; a romance; a narrative of two nations and the people who leave one home to grasp at another. Elaine Castillo was born in the San Francisco Bay Area. She is a graduate of the University of California, Berkeley. America Is Not the Heart is her first novel.